Castle Menzies is a spectacular Scottish castle wedding venue and an ideal location for weddings, parties, concerts, corporate events and filming. 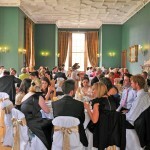 We provide a prestigious, historic and flexible venue. We are very used to hosting special and important events, from weddings and birthday parties to concerts, talks and corporate events. Weddings are our most popular type of hire and we are delighted to be able to offer our castle for such a special occasion. We do our utmost to cater for your every wish and aim to apply as few restrictions as possible, and our Castle Manager has wide discretion to agree to reasonable requests. We are licenced for civil and religious wedding ceremonies in the Dewar Room and Main Hall. The local Registrar is Morven Cairncross in Aberfeldy. 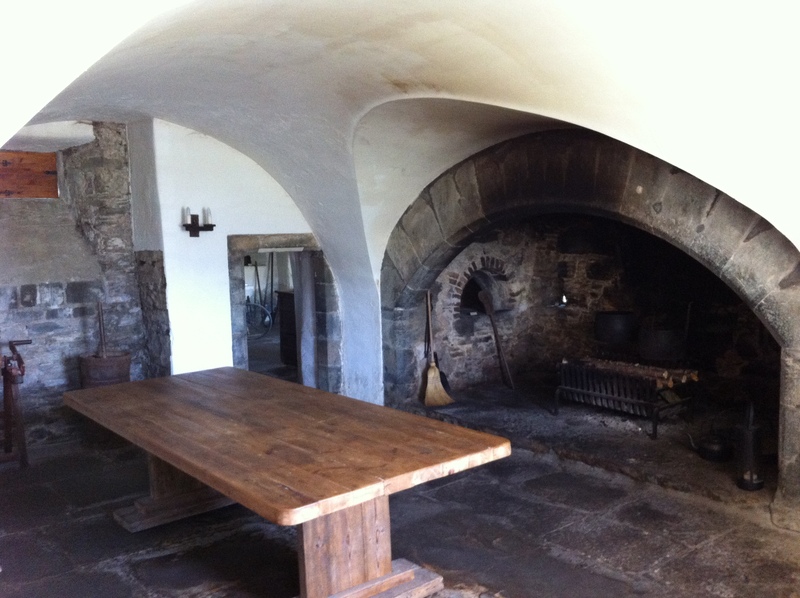 As well as the grandeur of its exterior and its main rooms, which have Georgian and Victorian styles, Castle Menzies also offers many interesting and unusual nooks and crannies as you would expect in a 16th Century castle. Many of the rooms on the upper floors are mostly bare and close to how they would originally have looked. We have a wide spiral staircase, well lit by natural light. 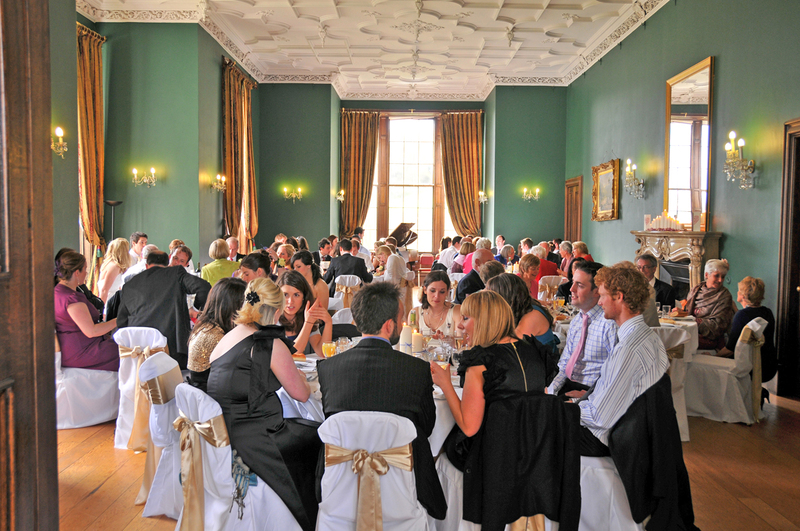 Our ballroom , the Dewar Room, is the largest and grandest of our spaces available for hire. With splendid plaster ceiling and fine views over the countryside through large windows, this Victorian baronial style room on the first floor of the 19th Century wing of the Castle makes a fine setting for a meal (seating up to 100 comfortably or 120 at a squash), a ceilidh and other dancing, and wedding ceremony (seating up to 200). This room is licenced for civil wedding ceremonies. The landing directly outside the Dewar Room is a good site for a bar. 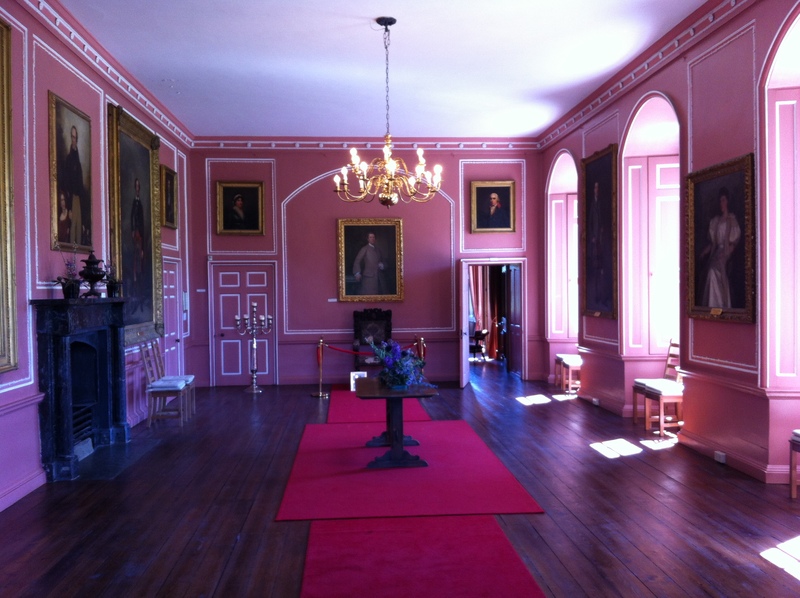 The main hall of the Castle (which we also informally call the ‘Pink Room’) is a grand, panelled, Georgian style room on the first floor of the 16th Century part of the Castle. This room is full of natural light from tall windows and is accessed directly off the main spiral staircase. It can seat approximately 54 for a meal, 120 for a stand-up buffet and 80 for a seated wedding ceremony. 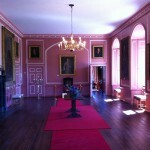 This room is licenced for civil wedding ceremonies. Immediately off the Main Hall is an oak panelled antechamber which is a perfect spot for photographs, receiving wedding presents or for getting away from the noise of the Main Hall. 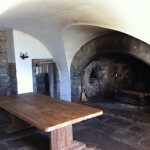 The Old Kitchen is also available to hire on its own. Other rooms in the Castle may, by arrangement, be used by the wedding couple or event organisers to store items or as a retreat. Tours of the Castle (maximum 20 persons per tour) can be arranged with the Castle Manager to take place during your event. This adds a novel twist to the evening and many guests throughly enjoy a tour. Please see Prices & terms. The small garden and well area at the immediate rear of the Castle, the grassed area immediately around the Castle walls to the side and front and our large Walled Garden on the hillside, a short walk from the Castle, are also available for inclusion in your hire package. We are proud of our policy of applying as few restrictions to your hire plans as we reasonably can and, wherever reasonable, we will aim to allow you any special requests you have. However, ultimate discretion over approving all aspects of the hire rests with the Castle Manager.